Hundreds of people from several Islamic organizations held a #SaveMuslimUighur rally in front of the Chinese Consulate in Medan, North Sumatra, on Friday, condemning the alleged mistreatment of Uighur Muslims in Xinjiang. "Our brothers [Uighur Muslims] are a minority,” Acong, a protester who is of Chinese descent, said in his speech during the rally. The protesters carried several critical banners calling on the Chinese government to immediately stop violence against Uighur Muslims. "We urge the [Chinese] government take action against the violence on Uighur Muslims,” the leader of the National Movement to Safeguard the Indonesian Ulema Councils Fatwa in North Sumatra, Heriansyah, said. The protestors also tried to blockade the consulate because there was no Chinese Consulate representative willing to meet them. However, the police stopped them from blockading the office. “We also demand the Chinese consulate general be expelled from Indonesia,” he said. In South Jakarta, a group calling themselves the 212 Rally Alumni also held a rally in front of the Chinese Embassy in Mega Kuningan. "We need to stop the Chinese government from abusing our brothers, the Uighur Muslims,” a protestor, Dedi Suwardadi, said as quoted by tribunnews.com. Protests have emerged in Indonesia following reports on the detention of Uighur Muslims in Xinjiang and allegations that they had been put to forced labor. 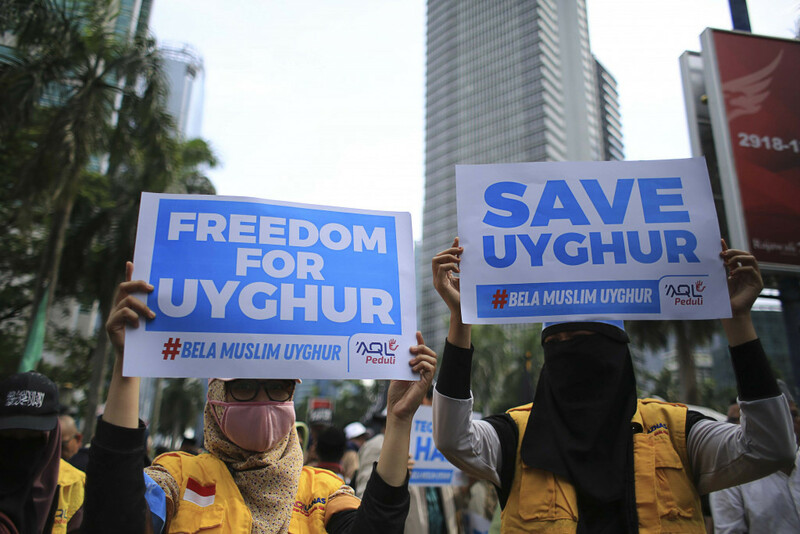 Previously, the Indonesian Ulema Council had condemned China over reports of the crackdown, saying it was not in line with the International Covenant on Civil and Political Rights that guarantees religious freedom for every human around the world. China signed the covenant in 1998 but has yet to ratify it. Vice President Jusuf Kalla reiterated that Indonesia would not interfere in China’s handling of Uighur Muslims amid pressure for the government to step in. “Of course we reject or [want to] prevent any human rights violations. However, we don’t want to intervene in the domestic affairs of another country,” Kalla said. However, the Foreign Ministry had summoned Chinese Ambassador to Indonesia Xiao Qian on Monday to convey the concerns of Indonesian Muslims about Uighur Muslims. A Chinese Embassy spokesman said in a statement on Thursday that the Chinese government was facing the threat of religious extremism in Xinjiang, which is home to about 14 million Muslims. Some Xinjiang residents, it said, had struggled to find jobs because of their poor command of the nation’s official language and lack of skills. 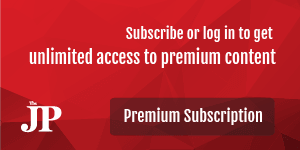 “This has made them vulnerable to the instigation and coercion of terrorism and extremism,” it said.